Driver WUDFRd Failed to Load becomes irritating sometimes. In previous versions of Windows, you have seen a couple of options about how to handle updates of Windows. For example, “download automatically”, “update all”, etc. 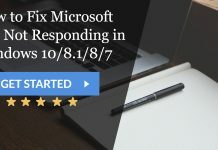 But, all of that stuff went in Windows 10 and Windows remains one of the frequent and mostly used Operating systems in the world and hence is the standalone target for web attacks. 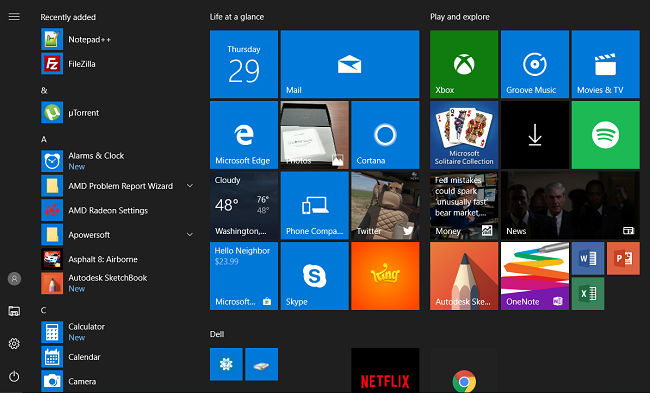 Windows 10 has come across with some additional features like Wi-Fi Sense, Windows update delivery optimization, etc. So, almost everyone wants to install an update to Windows 10 to enjoy its beneficial characteristics! And, they aren’t aware of the problems caused by the upgrading of Windows 10. Although, the difficulties arise are not that much critical but needs to be taken care of. One of the most common problems found during Windows 10 update was WUDFRd issue. WUDFRd is a type of SYS file or says third-party device drivers that come along with Windows Operating System. The SYS file errors are typically caused due to corrupt device drivers or faulty hardware. The error associated with WUDFRd occurs during program startup, computer startup and when you are using any unique function in your program. What Causes Driver WUDFRd Failed to Load? 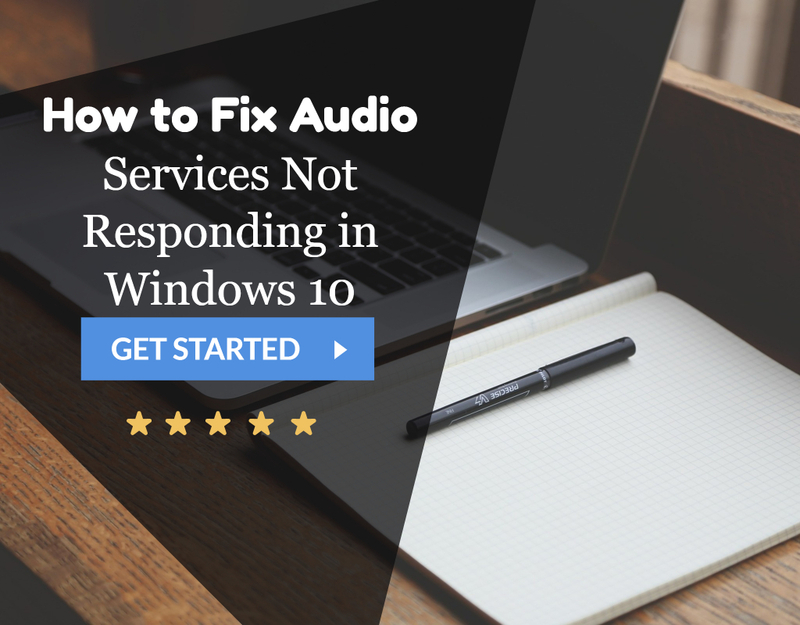 WUDFRd failing usually occurs during the upgrading of Windows 10. When the Windows 10 is upgraded, drivers are also updated, and it is applied and considered by Microsoft as a part of Windows 10 update! During this update process, some drivers become inappropriate with your hardware which is found to be one of the reasons for the failure of WUDFRd. This error can cause due to misbehaved device driver on your system, so you have to update it to fix this issue. Usually, the Event Viewer displays this error of WUDFRd failed to load with the event ID 219. When you upgrade to Windows 10, your drivers get conflicted with the Microsoft drivers, and hence the error occurs. Sometimes, you might see a blue screen which displays that it had an issue and when you search for the issue in Event Viewer, you will see the same message, again and again, saying “The driver WUDFRd failed to load the device.” Many people say it can be an issue of dump files. We suggest uploading no more than 3 copies of these dump files. But, every PC doesn’t have this reason for causing the WUDFRd error. Always ensure to create a restore point if something went wrong. So, you can check the reason for driver WUDFRd failed to load issue. You can install updates regularly to fix this WUDFRd error by following the below-given steps. But before you start with this method, make sure your PC doesn’t have Windows Update Service Not Running Error persisting from before. 2. 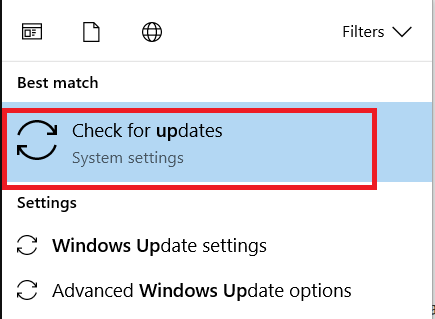 Type “Windows Updates” in the search box. 3. Click on Check for Updates & install the updates if there’s any available for your system. 4. Reboot the system and check for the error. 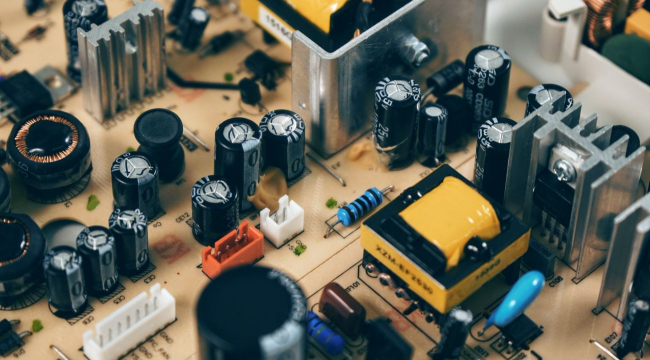 If this error of WUDFRd occurs when system reboots and shutdowns then, it may be because the power supply is unable to hold the load, and it will indicate the power supply is failing. The bad power supply could also lead to Windows 10 Random Restart errors as well. 1. 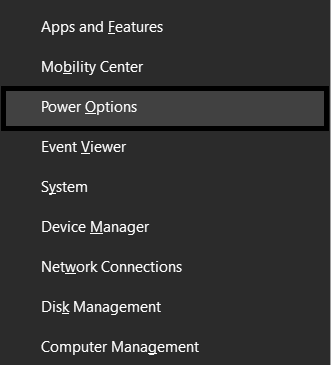 Press Windows Key+X and select Power Options to view settings. 2. Go through Additional power settings to open the Control Panel. 3. 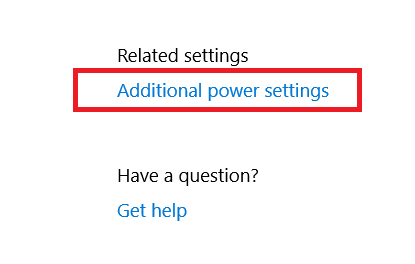 Click Change plan settings and Change advanced power settings. 4. Tap on Hard disk and turn off it. 5. 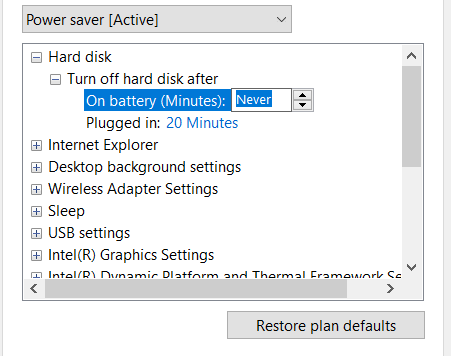 Choose “Never” for “On battery” settings. 6. Select Apply and then OK.
1. 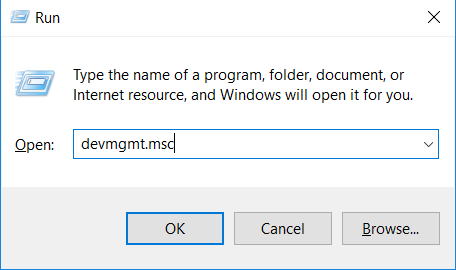 Press Windows Key +R and type “devmgmt.msc” then hit enter to view device manager. 3. After uninstalling all the controllers, reboot your system. 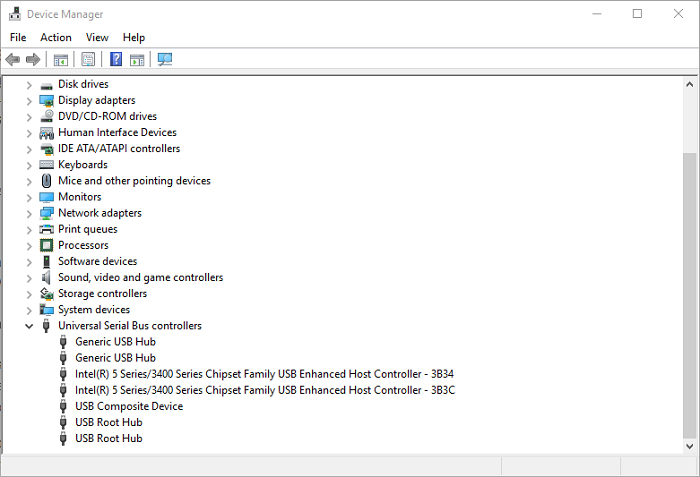 You can also check if there are any USB Ports Not Working Errors persisting too. 4. Now, open the device manager & tap on Scan for hardware changes. 5. Follow the instructions to install the drivers. If you don’t want to waste your time in finding the misbehaved driver one by one in Device Manager, download the “Driver Easy” tool or “PC Repair tool” and run it in your system. 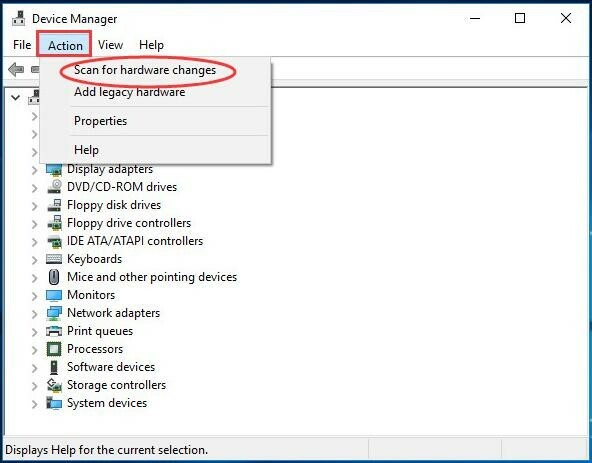 After installing the “Driver Easy” tool, you have to tap on “Scan Now” which will search out your missing and corrupted drivers. After scanning, you can install or download the correct drivers, discovered by this tool. “PC Repair” tool can fix startup issues, system errors, PC’s junk files, etc. There are many other tools available in the market which will help you so that you can efficiently manage to find the drivers. Note: if you find the message showing “best drivers are already installed on your device” then, you should try some other method. There may be some better drivers on manufacturer’s site or Windows update. Go to the manufacturer site for your system and install the latest drivers. For example, graphic’s drivers, sound drivers, etc. Once you install them, ensure to reboot your system. 1. 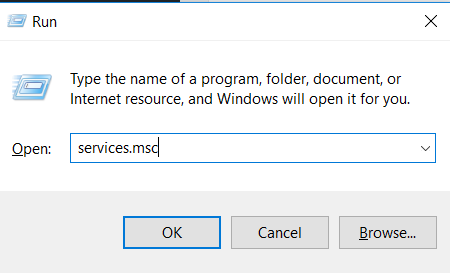 Press Windows Key + R & type “services.msc”. Hit OK after that. 2. 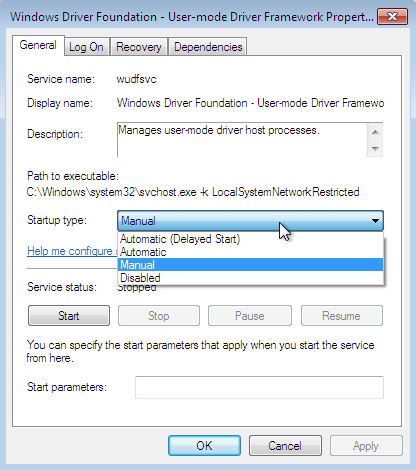 Afterward, scroll down the Windows driver foundation service and double-click to view its properties. 3. If the Windows startup is disabled by default then simply select Automatic to enable it. 4. Press Apply and then OK.
That’s it! You have successfully fixed this issue of WUDFRd failed to load error & also saved your precious time. 1 What Causes Driver WUDFRd Failed to Load? Method #3 worked for me. Thanks a lot.